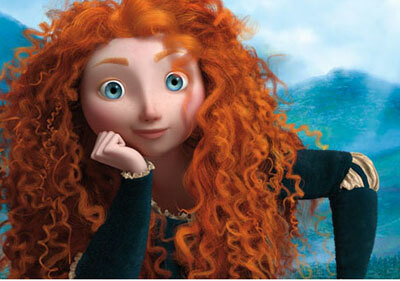 Highlands Heroines: Disney’s “Brave” celebrates the strength and spirit of mothers and daughters. 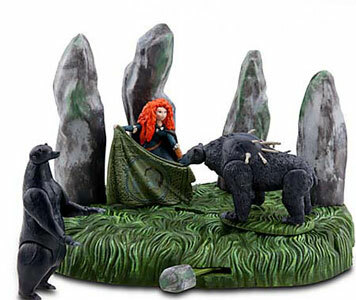 A bonnie Highlands lass: Merida wants to change her fate. 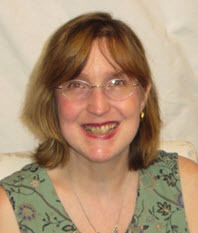 Can she do it without accidental consequences? “Brave” follows her path. 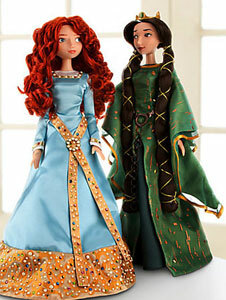 Limited to 2,500 pieces worldwide, the “Merida” and “Queen Elinor” doll set is available for $199. 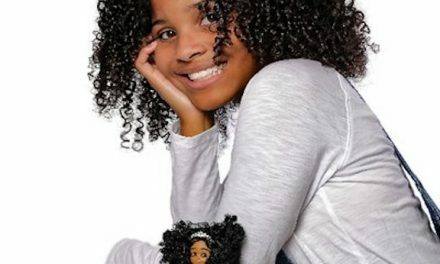 Unlike many prized Disney films of the past, “Brave” targets the often contentious love that a mother and daughter can share. Comic relief is provided by this trio of mischievous brothers. 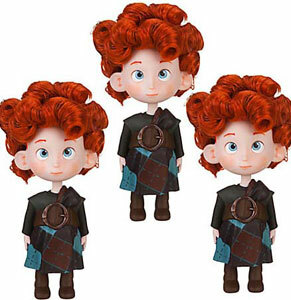 Merida scornfully calls the triplets “demons.” Their doll versions are identical and impish. 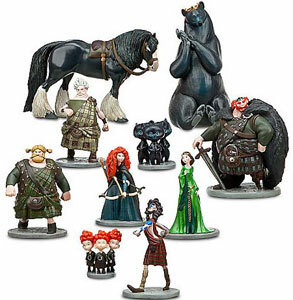 From the youngest to the oldest member of your clan, there is a “Brave” plaything to purchase and love. 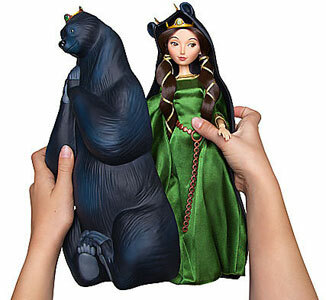 Bears play a central role in the unfurling of the film’s tapestry. 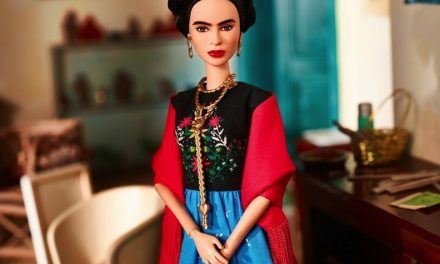 All aspects of the film are represented with dolls and collectibles. Merida sees her mother, Queen Elinor, as unbearable and overly critical. Her resentment has an unexpected result. What more could a lass hanker for? 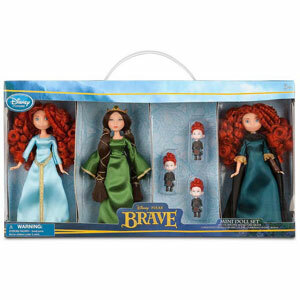 There are plush animals, costumes, slippers, dolls, and even archery sets for the “Brave” fan. Get them now before they’re gone! My family watches a lot of movies. Many times it’s classics that my husband and I grew up seeing and adoring—lots of MGM entertainment vehicles, cinematic adaptations of great books, movie musicals (they don’t make ’em like “The Sound of Music” or “The King and I” anymore). So, in my living room, we’re all pretty steeped in film concepts and film images. My kids are only 8 and 10, but they could give Siskel & Ebert a run for their money back in their thumbs-up heyday. They both have their opinions on what’s good, what’s great, and what’s worth watching again, and again, and again. This past weekend we watched the Pixar/Disney animated flick “Brave.” I’m sure you’re all familiar with this movie—either by having seen it in the theaters or having watched all the trailers that saturated TV during the summer months. It features a redheaded, wild-tressed, tomboyish heroine—a princess, but armed with a bow and arrow—and glorious Celtic music playing in the background as she galloped upon a horse across lush, green, Highland backgrounds. It was visually stunning! Since the cost of going to a film tops $35 for us—and that’s just the tickets—we have abdicated most of our moviegoing to DVD/Blu-ray viewing. And the Blu-ray of “Brave” is breathtaking with its rich color scheme—greens and blues and oranges that seem to explode across the screen. “Brave” tells a story that is familiar terrain for fairy-tale enthusiasts—especially folks who enjoy the Disney retooling and retelling of what constitutes a princess. Just as Mulan rode into battle garbed as a boy, and Rapunzel from “Tangled” saved the guy who fancied himself her rescuer, Merida is a princess who has a feminist bent and an immeasurable independent streak. She is destined to have her hand won by a suitor—a young laird from a clan that she doesn’t even know or fancy—and she rankles at that setup. Determined not to let herself be married off, she sneaks into an archery competition and shoots for her own fate. She is aiming her bow and arrow, smack in the center, at her own marital destiny. That’s pretty heady stuff for an animated film—and the kids were impressed by Merida’s feisty spirit. Living in America in 2012, the children couldn’t imagine a time when a girl HAD to be married, and especially wed to a man she’d never met. This was inconceivable to them. The movie follows Merida’s path to change her fate, and the unexpected fallout that occurs when she invites a witch to help her conjure up a spell to alter her mom. Young teen Merida sees her mother as the bane of her existence: always criticizing, scolding, tutoring, observing, commenting, and instructing. In other words, she’s always being too maternal and too hands-on. Merida sees her mother, Queen Elinor, as unbearable. And that critique has unplanned figural and literal results. As a mom, I watched “Brave” and was touched by the sparring that unfurled between Merida and Elinor. Unlike so many other Disney films where the mother is nonexistent—think “Little Mermaid,” “Beauty and the Beast,” “Bambi”—here the relationship between mother and daughter is front and center, top and bottom, palpitating all throughout the heart of the film. The head-butting and the misunderstandings—the love that often seems so deep that both parties will drown in it—all of this is captured by the screenplay, the voice actors, and the animators. Kelly Macdonald speaks for the young, struggling princess; veteran actress/Academy Award winner Emma Thompson vocally embodies the queen. The rest of the characters seem to be acted by half of Scotland: Craig Ferguson, Billy Connolly, Robbie Coltrane, and Kevin McKidd. There is a bounty of collectibles available from this film. 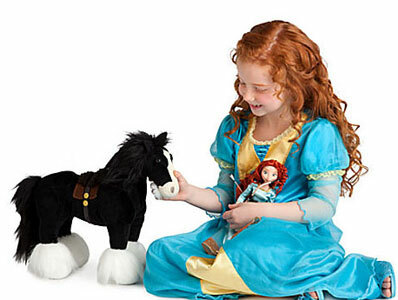 They run the gamut from American Girl-sized dolls that depict Merida as a toddler, fashion dolls, nesting dolls, transforming dolls, and figurine play sets. They’re all lovely to look at, and they all pay tribute to the bonds that attach a mother to a daughter: a connection that is both beautiful and brave. As we prepare this week for Thanksgiving, I’m sure we’ll watch other movies over the long holiday weekend. I’m thankful I have a family that enjoys spending time together, and is able to talk about our films, our favorite scenes, and, of course, our favorite toys! Happy Thanksgiving to one and all. NextSecond Helpings of Wisdom: A banquet of brainy doll talk and witty observations. 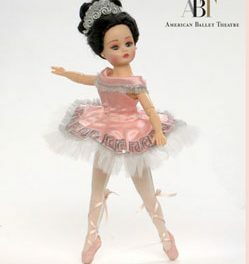 On Your Toes: Madame Alexander keeps dance fans cheering with their ballet beauties and cuties.